Happy April Fools Tools Day! Here are 10 free redemption promo codes for Brew.io Pro (Android). 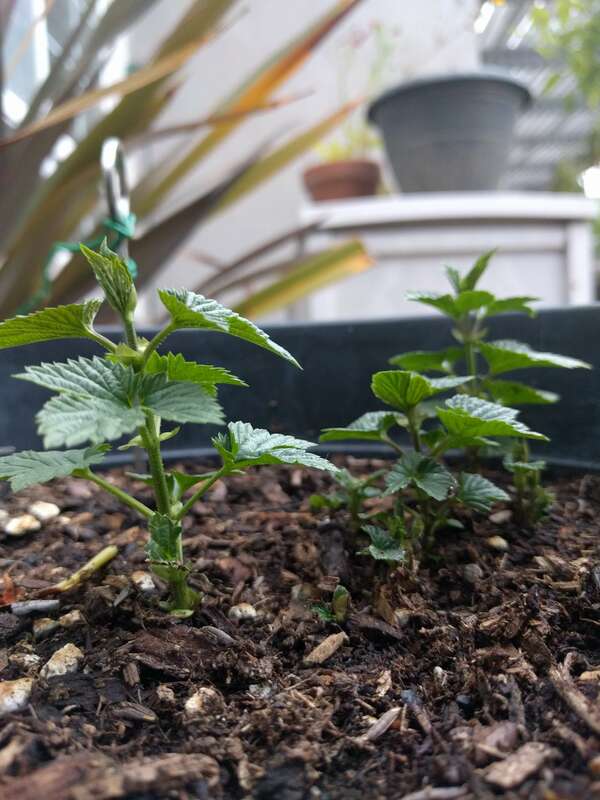 Pre-order your rhizomes now to ensure you get the lowest prices of the year ($1.50 avg savings) and ensures you get your rhizomes on time to plant for spring. 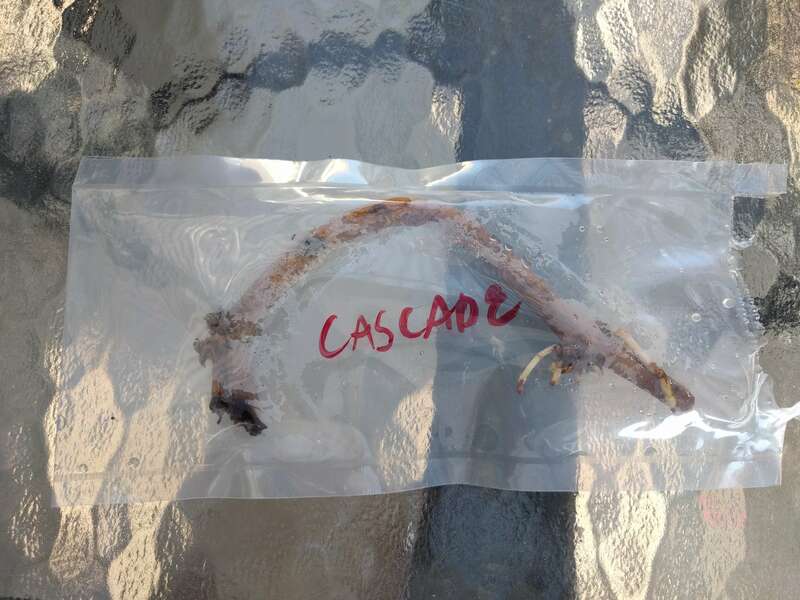 Also rhizome supplies get deplated very fast so get them while they last! Last years' data shows the lowest prices between January 1st and Febrauary 20th. This years initial data is looking to be about the same with the lowest prices currently available. Cut potatoes into quarters, trim green beans, chop red onion, slice sausage (if using meat sausage sear on pan first). Add all ingredients including spices except for tomato paste into slow cooker. 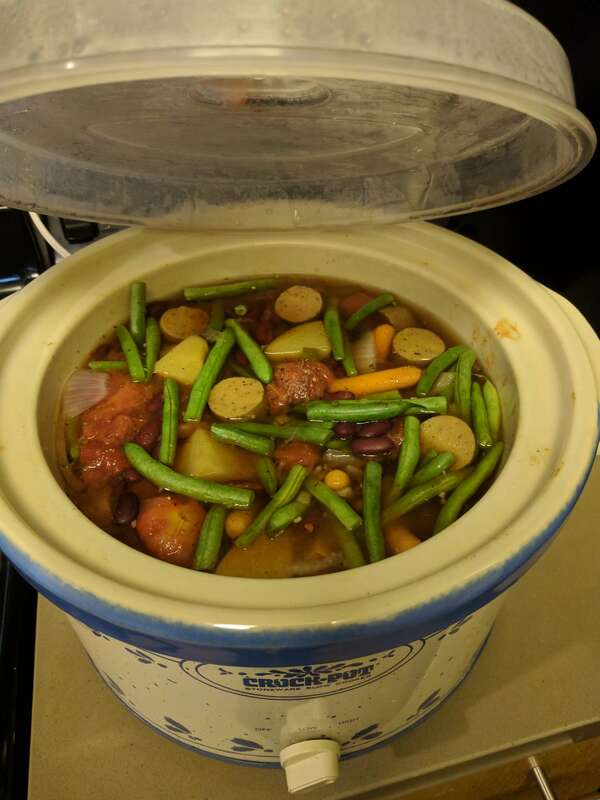 Cook on low for 8+ hours. Before serving add 2 cans of tomato paste and stir into beer stew until dissolved and stew thickens. Season with salt, pepper, & cumin to taste. Pour yourself a pint and enjoy! 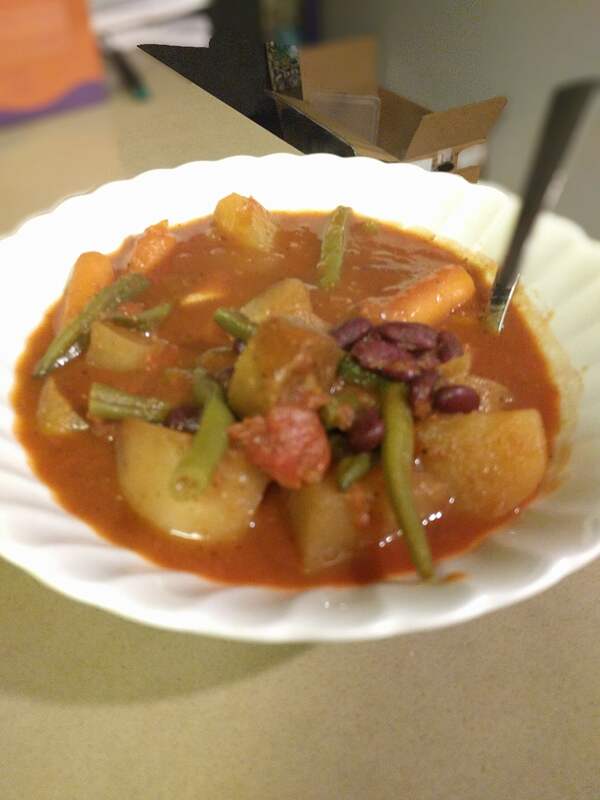 Hints of the IPA come through each bite of the stew giving it a unique taste without overpowering the flavor. If it's to overpowering cook on high for 2 hours to help burn off the alcohol. Next up will be to try this with a stout like Guinness or a clone of Founders Breakfast stout. Brew.io Pro is now 50% off ($0.99) normally $1.99. Here are 10 free promo codes to get started. Redeem promo codes in the Google Play Store on the left menu under Redeem. There are 25 promo codes scattered throughout TheBrewOutlet website. (3 codes) Just like beer recipes, software and websites have a recipe (source code) as well. Can you find the 3 promo codes that live within the code? (2 codes) TheBrewOutlet tracks over 6,000 products from 8 different online merchants. The Brew.IO app is one of them. (5 codes) Every ecommerce site needs a good search algorithm. 5 different phrases will produce 5 different promo codes. Hints: Video game developers and the Easter Bunny both have something in common. A common saying in the homebrewing community is what? Starting Gravity and Final Gravity are used to calculate what? IPA's typically have a higher __ __ __ ? (5 codes) Homebrewing is all about being social. Sharing beers with friends and fellow brewers. Luckily for us there are some awesome social tools available for us internet folk. Adventures in Homebrewing is doing a spring cleaning sale! Up to 50% off items. No promo code required. First things first, grab your Hop Rhizomes. 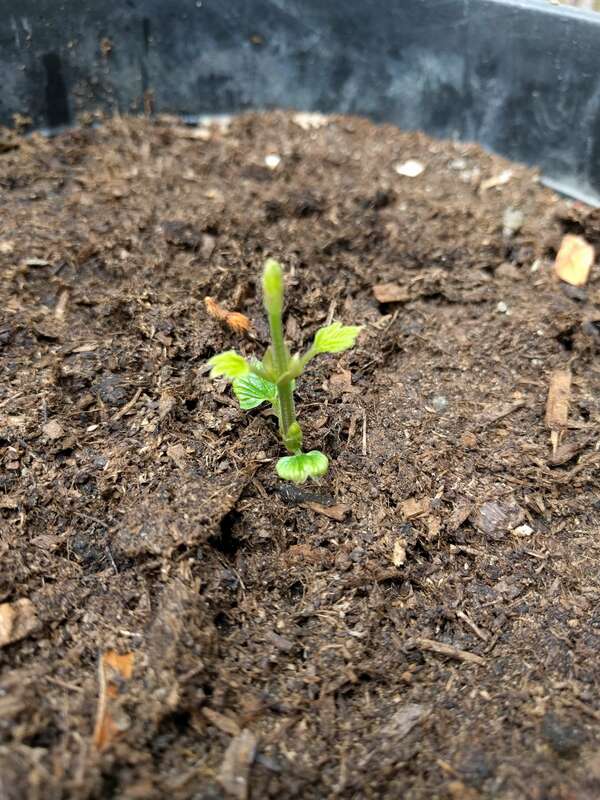 We’ll be growing Cascade hops as they are a great universal hop for many beers. Rhizomes can get out of control once planted. 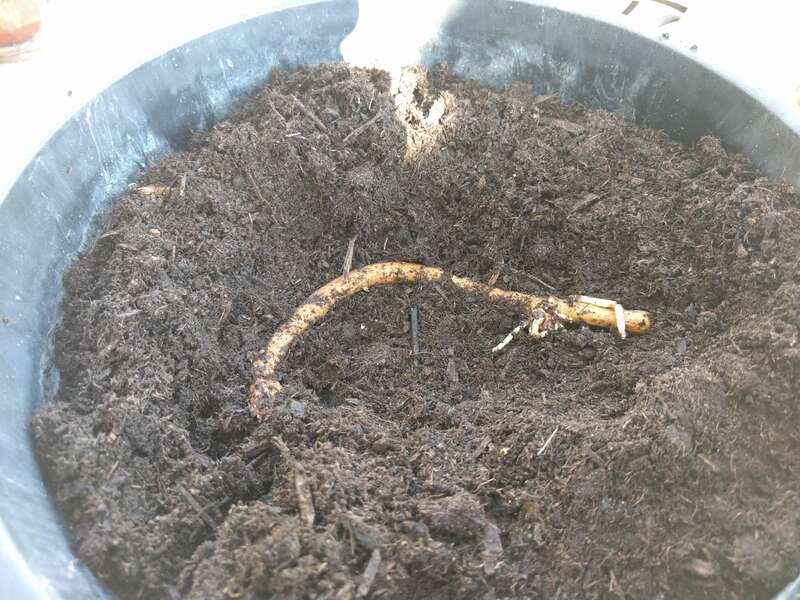 If you ever want to possibly remove/transfer rhizomes you’ll want to plant them in a big 5 gallon or bigger potting container. Get some good fertilizer & potting soil from your local nursery or Home Depot and plant your rhizome horizontally about 1-inch below the surface of the dirt and water until the soil is thoroughly soaked. Keep the dirt wet and water as needed. Best time to plant is March-April time in a location that will get 8-10 hours of full sun. Your first year growth will be mostly building out the root system and frequent watering will be required to avoid drying out. After the hop bines are a foot long select the healthiest 2 or 3 bines and train them to wrap around your support system which can be a trellis or hop yarn / heavy duty twine. You’ll need at a minimum 10 feet of trellis or twine for first year growth. Following years will require 20+ feet of trellis or twine for supporting the hop bines. Harvesting usually will happen in August or September before the first frost. Ripe hops will have a dry paper feeling and should have a strong aroma when you crush the cone with your fingers. You should also see a yellow powder that comes from the lupulin glands. For ease of harvesting bring the hop bines to the ground and harvest the hop cones from the bines. Once harvested use a window screen to spread out the hops for drying in a dry place out of direct sunlight. Utilizing a box fan can help speed up the drying process. Once fully dried store in a vacuum sealed bag or remove as much air from the ziploc bag as possible and store in the freezer until brew time! Homegrown hops are best for aroma and flavoring because the alpha acids are unknown for homegrown hops. Warning: There have been rare cases where pets have had an alergic reaction to eating hops. Please keep your pets away from any hops. According to this reddit post Redditors are 78% more likely to click on ads that insult them. We decided to put the theory to the test. Our baseline ad that uses typical "Reddit Language" such as "I made this" performed with a CTR of 0.272% and a CPC of $0.13 with 154 clicks from 56,720 impressions. In total the insult ad campaign had a CTR of 0.323% and a CPC of $0.07 with a total of 35,923 impressions with 116 clicks. The interesting part is when we start looking at Google Analytics of how the ad visitors interacted with our website. Campaign tags of rdwhahbcircle & rdwhahb are the baseline ads while insult is the insult campaign of the three ads previously mentioned. While the insult campaign had a higher CTR the bounce rate was higher and the conversion rate was lower than the baseline ads. My hypothesis for this is due to the culture of reddit those clicking an ad that utilizies "Reddit Language" are interested in seeing what other people built & created compared to an insult/sales ad would turn more people away if it isn't the product they are expecting or looking for. Personally, a 0.05% improvement in CTR pales in comparasion to the 13% higher conversion rate of the baseline ads.